Guardian Angel Animal Rescue is a registered not for profit charity located in South Australia. We rescue, rehabilitate and rehome animals into loving forever homes. Listen up! We need your urgent help to save a life tonight! 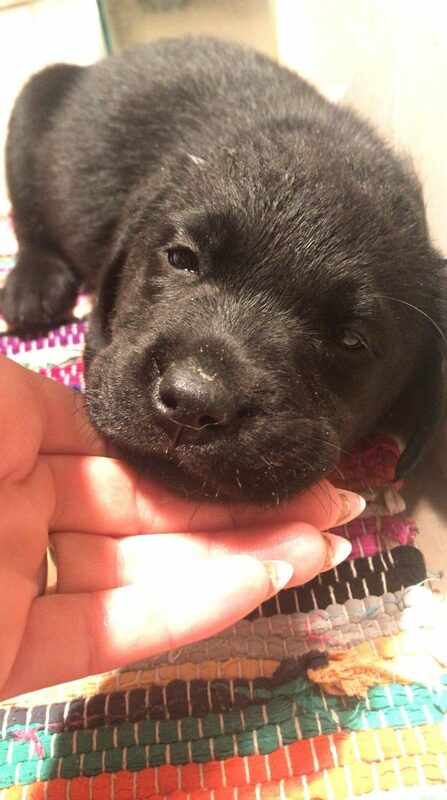 Yesterday, we welcomed a beautiful 5 week old Labrador puppy into our care. She suffers from a condition called Persistent right aortic arch. This may stop the poor animal from being able to swallow food, cause breathing problems and can lead to a stretched esophegus. All conditions which we are very unpleasant and can lead to severe issues. We need to get them fixed through surgery. This particular poor puppy was booked in for euthanasia by the previous owners (they were breeders). However, once we found out about this poor puppy we couldn’t say no. The surgery is booked for tomorrow but the problem is we need the funds. It is going to cost over $4,000. We know it is well worth it but we need your help tonight, right here, right now. Can you help ABBY lead a better life? We are counting on you. Just $5 will help save a life. I promise it will be the best $5 you have ever spent. If 800 of you just donated $5 we would reach our target. Please please give tonight so we can go ahead with the surgery in the morning. Thank you for helping save Abbey!